LETTERKENNY General Hospital appears to have lost another valuable healthcare discipline as pacemaker patients are now being forced to travel to Dublin or Galway. Fianna Fáil TD for Donegal North East Charlie McConalogue today called on the HSE to reinstate pacemaker and internal defibrillator procedures in Letterkenny General Hospital as a matter of priority. These procedures were temporarily suspended on 1st September 2011 as a ‘cost containment measure’ and the HSE gave a commitment to review the restoration of this service in 2012. But six months on there is no sign of the procedures returning. Deputy McConalogue told donegaldaily.com: “Having raised this issue at the Oireachtas Health Committee towards the end of last year, I am now calling on the HSE to honour its commitment to consider reinstating pacemaker and internal defibrillator procedures in Letterkenny General. “I have spoken to the hospital’s General Manager Sean Murphy about this and I have been assured that discussions are ongoing. However, I want to see a full resumption of services and I believe the sooner the HSE review current practices the better. 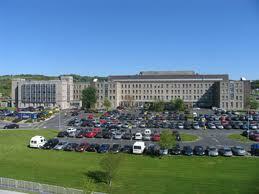 The TD added: “Progress must be made on establishing a permanent facility for installing pacemakers at the hospital. Thanks to the great efforts of the Friends of Letterkenny General Hospital, substantial funds have already been raised for this facility. No-one from the HSE was available for comment.